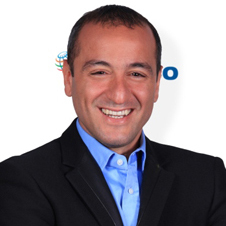 Osman Dilber is juice & ice tea category marketing manager in PepsiCo, responsible from brands Tropicana & Lipton. Having a masters degree on Marketing, Osman Dilber worked on many reputable FMCG companies such as Burger King and Diageo. He has joined PepsiCo in 2008 and has focused on non-carbonated beverages; especially on new business development since then. He led the creation of new brands such as Rockstar Energy Drink, and Tropicana Juices in Turkey. Tropicana launch became a huge success in 2014 and the brand became highly reputable in a very short period of time. In addition, Tropicana TVC has been awarded with Effie.